Prestige Fine Turf All Season Organic 5:3:8 is a 1-2mm granular Organic fertiliser based on composted poultry manure. 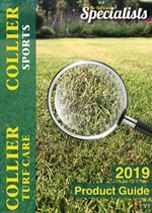 Natural slow release nutrients with a reduced risk of scotch potential are Ideal for use on turf throughout the year when temperatures are 6 degrees of above. Due to its organic nature and careful manufacturing process this fertiliser also has a very low environmental impact.